Wavy internal socket proile enable the torque to be applied completely on the wall of bolt instead of corner. 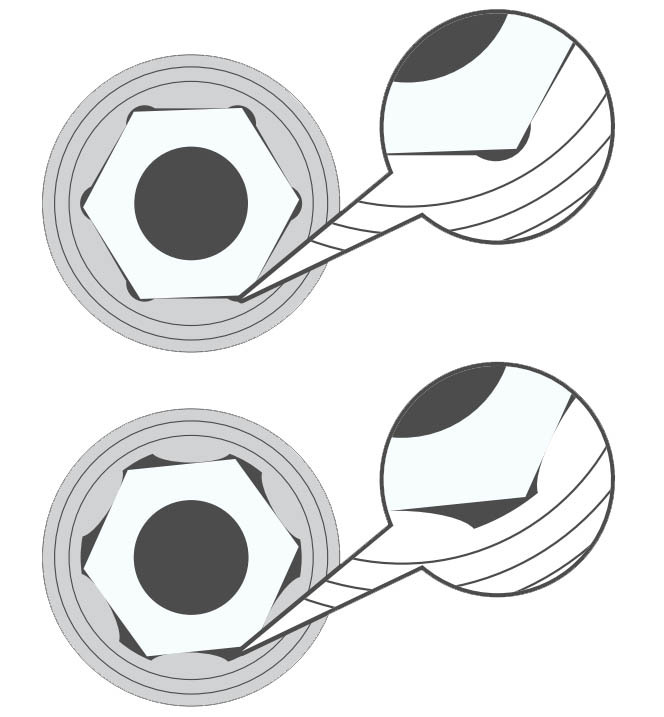 Against the slippage on nut or bolt head. Applicable for damaged hexagon bolts.